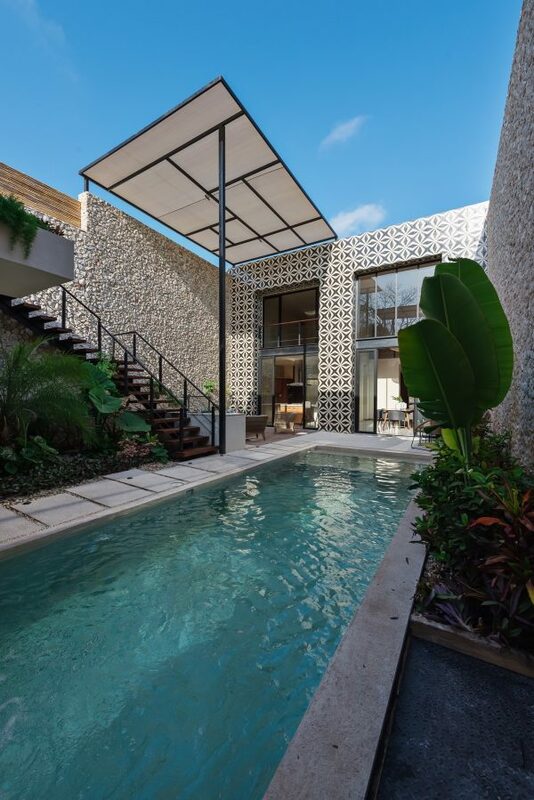 As the vibrant capital of the Mexican state of Yucatan, Merida is home to a variety of architectural influences. 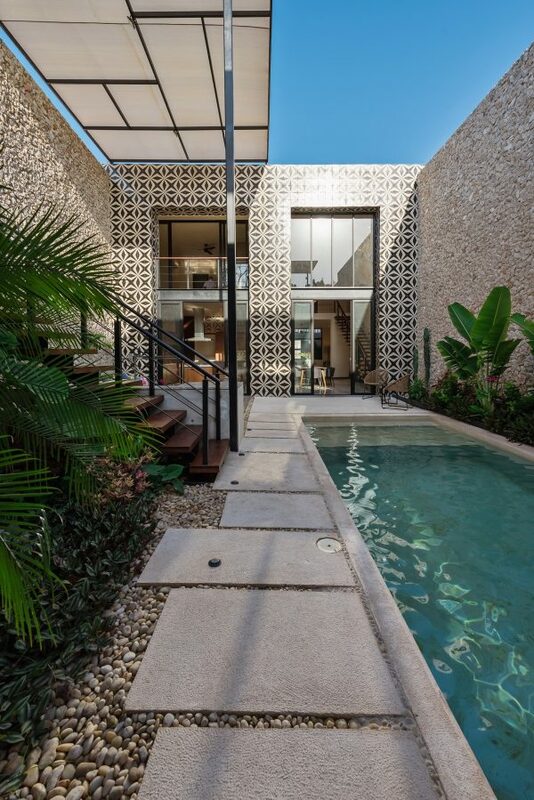 The region features both Mayan and colonial design inspiration. 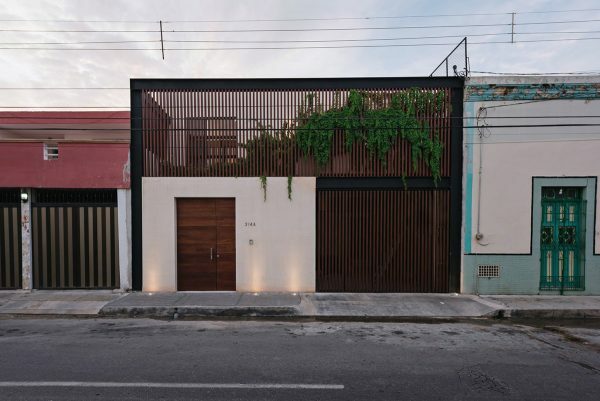 In this downtown Merida home, the city’s historic and natural heritage is celebrated by architect Xavier Salas. 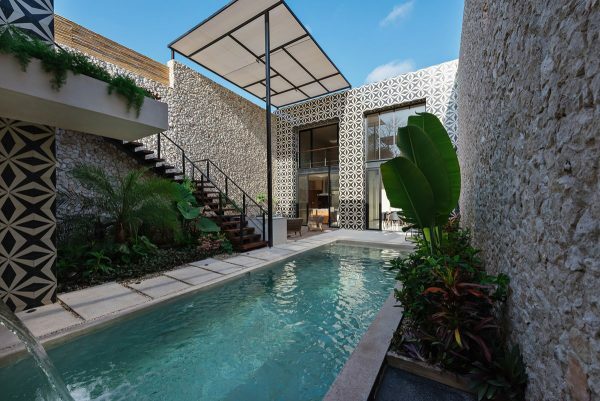 Stone, pasta mosaics, and endemic vegetation combine together beautifully in this architectural achievement. 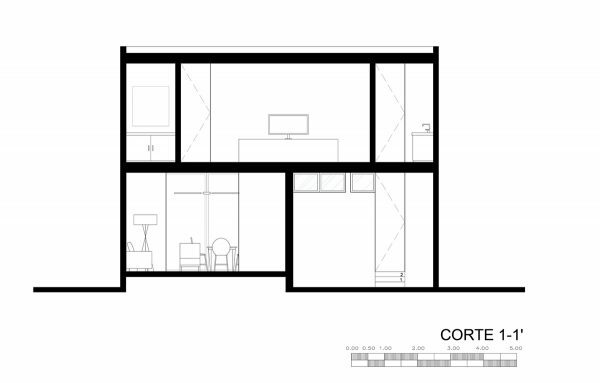 Overall the building takes advantage of the narrow lot by using vertical height to make up for the smaller footprint. 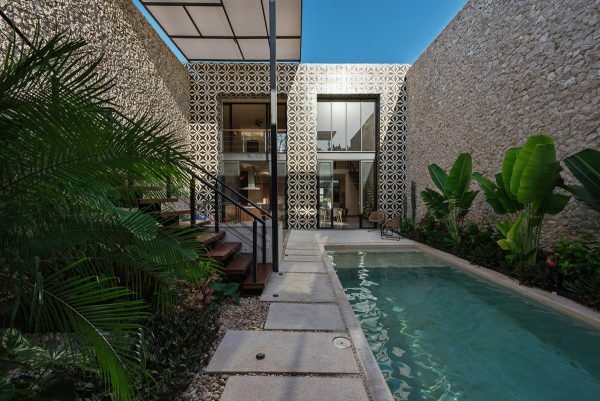 The exterior walls of the home, opening to the pool and terrace, is finished with tile covered facades with traditional Yucatecan designs. 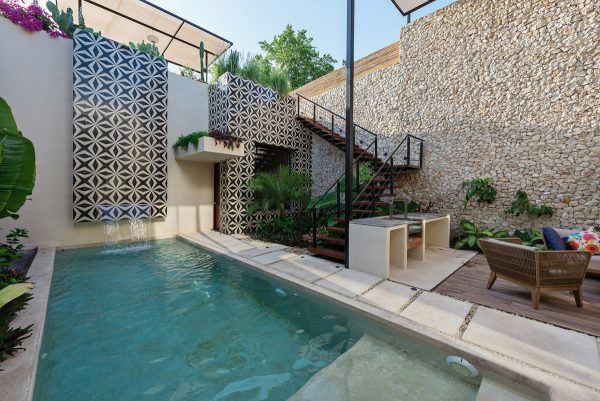 Adjacent to the pool is a lounge area and a stairway leading up to a rooftop retreat that offers views of the city. 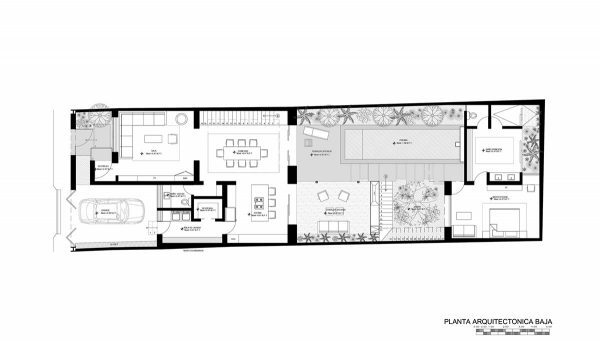 The outdoor entertaining area, positioned over natural wood decking, offers easy access to the nearby kitchen. Natural stonework also provides texture on the exterior walls. In addition to tile work and stone, a French-type paste mosaic is used, paying tribute to the colonial heritage of the area. 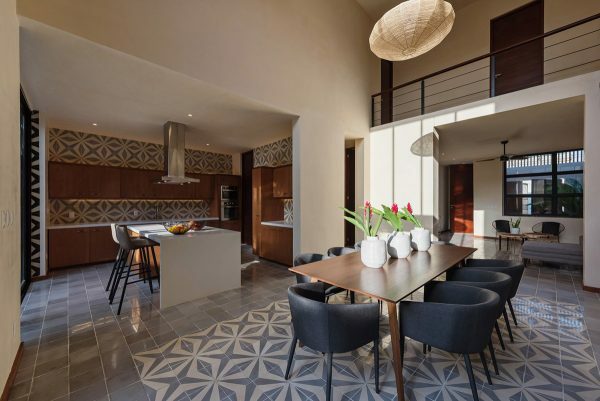 Yucatecan pasta tiles, used here, are the product of history and intention. 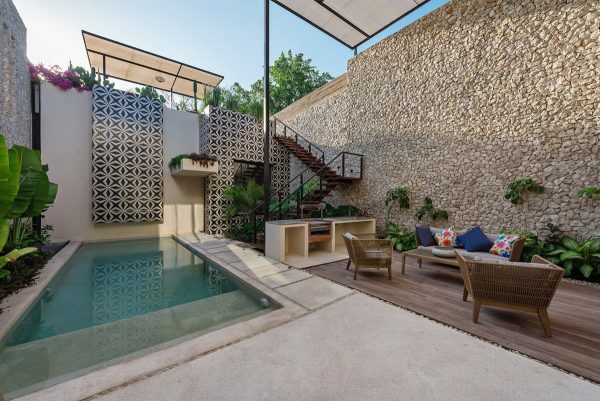 Originally produced in France and Spain, these tiles came to Yucatan through Spanish trading vessels. Locals eventually began making similar tiles for themselves. This unique tile type offers greater depth and durability of color than other tile types. It’s made in mold using colored cement pastes with a solid cement poured on as backing. Each tile is hydraulically pressed and left to dry in the sun. 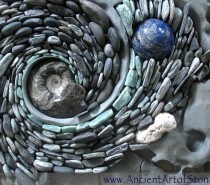 One of the most unique features of the stone walls, besides having openings to stream sunlight in, is the source of the stone. 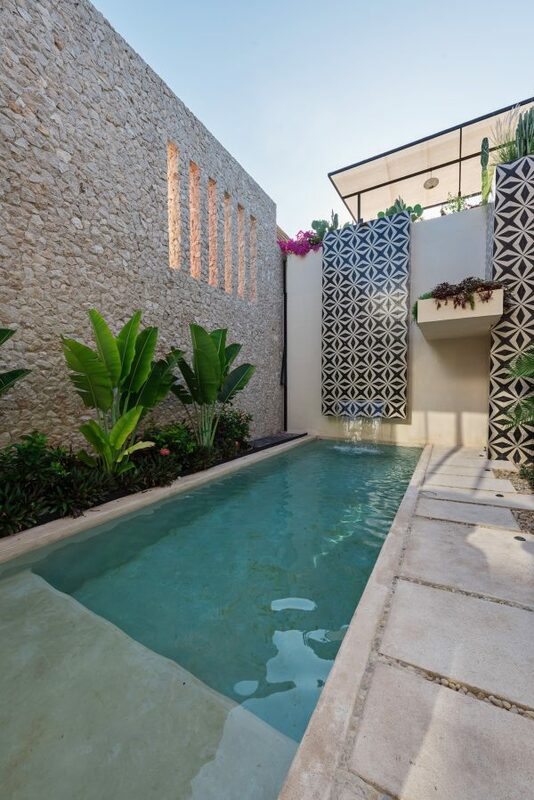 The stone covering those walls was the product of the pool excavation. 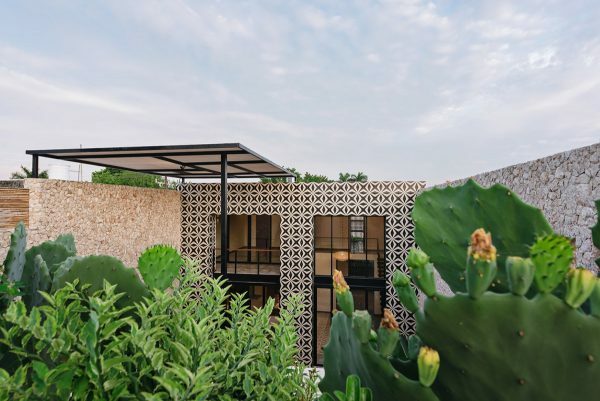 Recycled stone and traditional tile work give the home a feeling of connection: to the natural resources of the region as well as the city’s history. 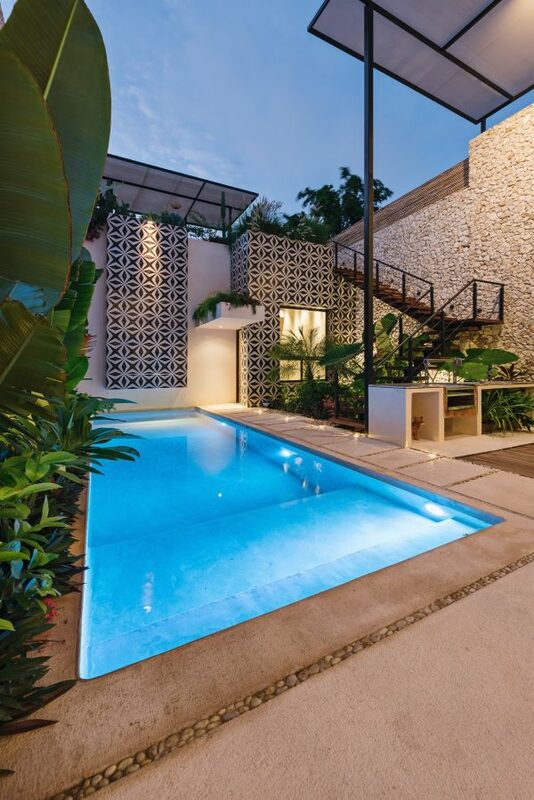 The high walls surrounding the pool area give privacy while drawing the eye upward toward the sky. 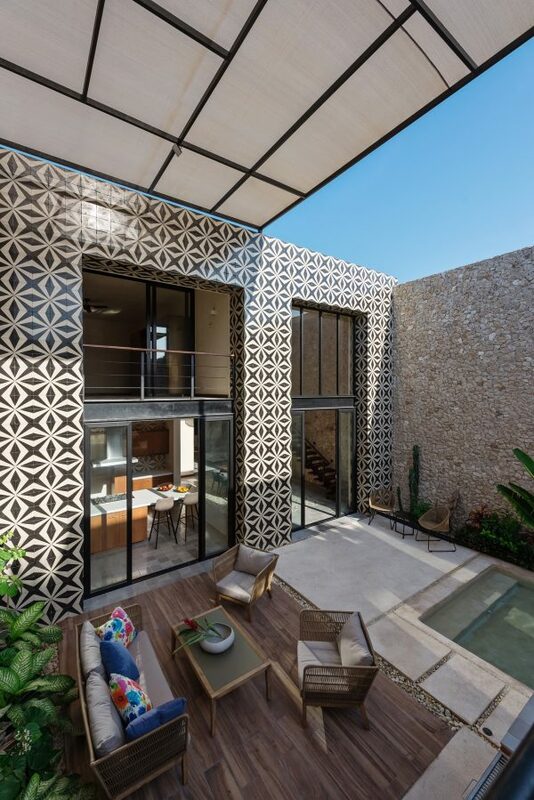 Metallic structures covered with shaded mesh offer protection to the outside living area while also creating the feeling of height and spaciousness. 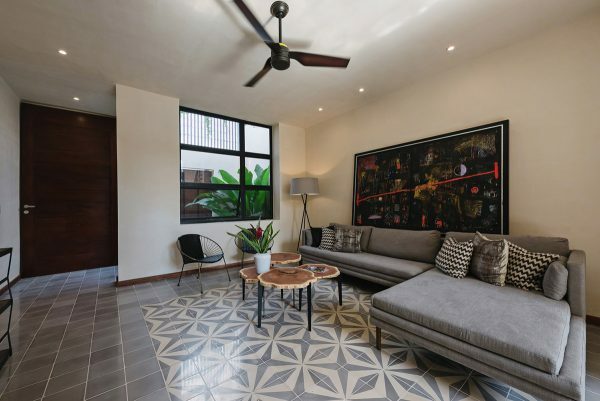 The main living area offers a bit of privacy from the rest of the space, giving way to a large section sofa and more tile work. 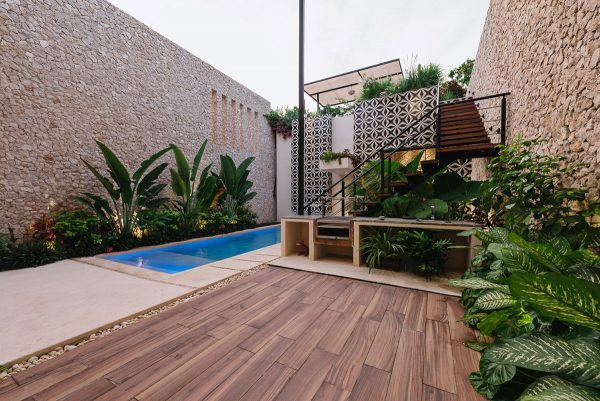 One of the more interesting features of the space is the use of Chukum to finish the walls and make the other materials, such as marble and wood, pop. 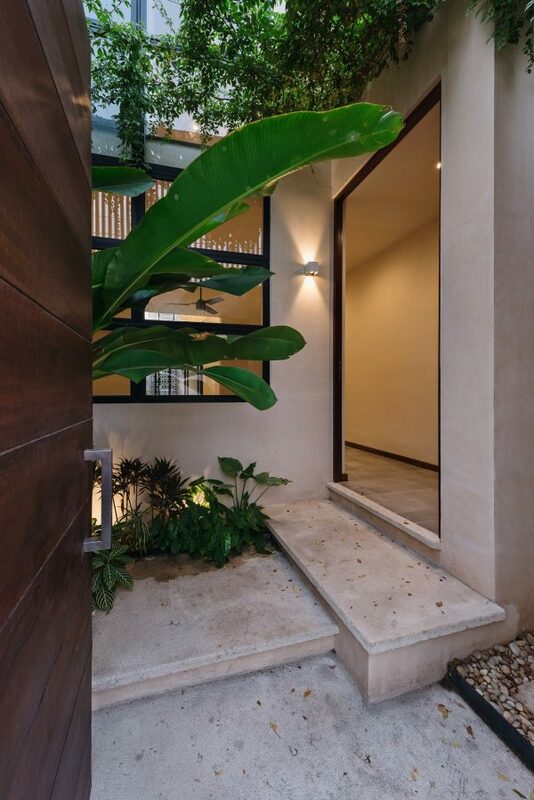 Chukum is a native tree that produces a resin used with white concrete to achieve a beautiful texture. 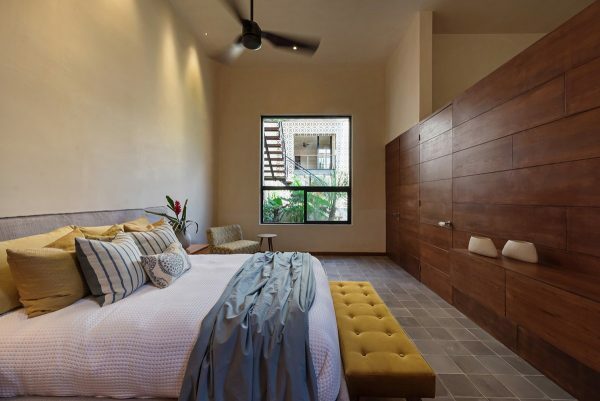 The main bedroom continues the theme of high ceilings and features a wall covered with tzalam wood, which is local to the region. 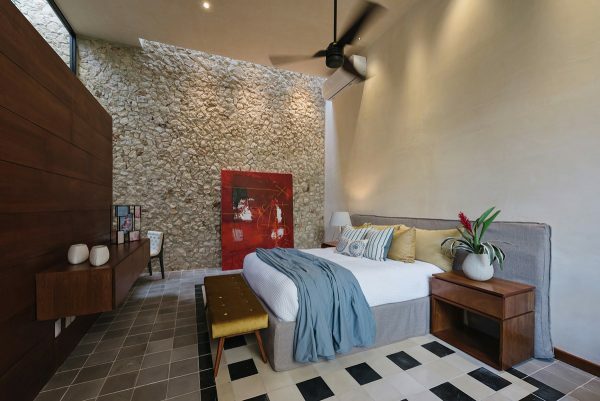 The stone coatings on the walls give texture and serve as an accent wall in the bedroom, which offers green area views. The open stone doorway is all clean lines and is finished in Chukum. 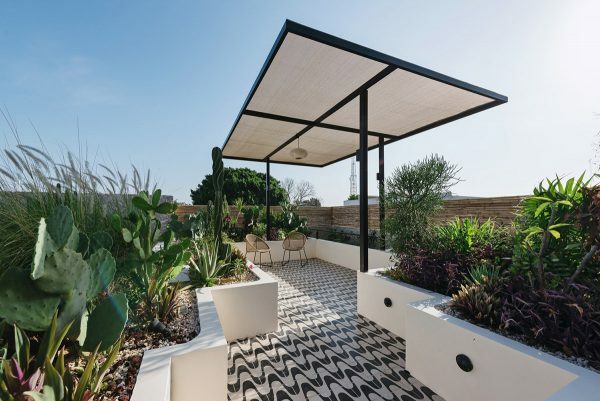 Views from the rooftop garden offer something spectacular. 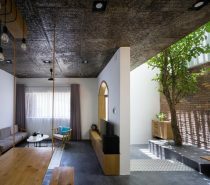 In addition, the roof garden helps to reduce the temperature of the main room by several degrees, thereby achieving a higher level of energy efficiency. 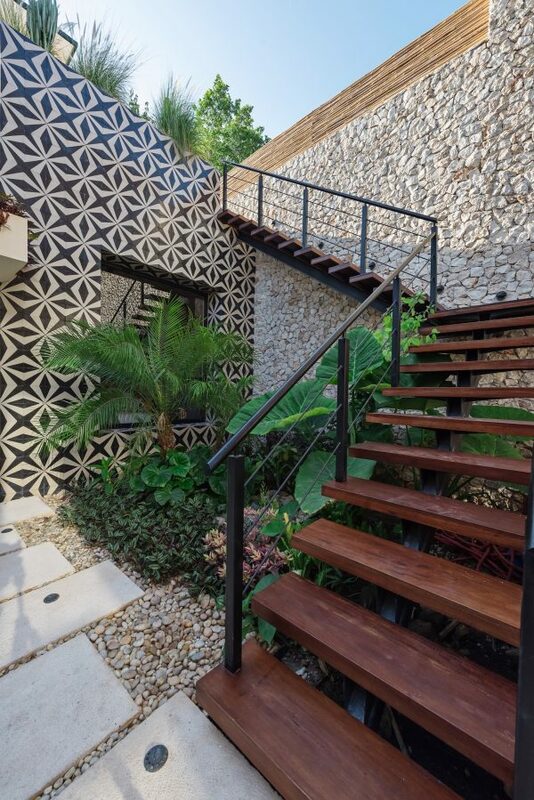 The stairways leading up to the rooftop space features the same vibrant tile work and warm woods. The balcony shade at the top roof level offers a bit of privacy and protection. 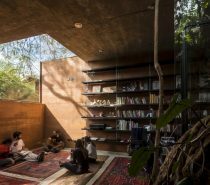 One could imagine this would make an excellent spot for morning coffee or reading. 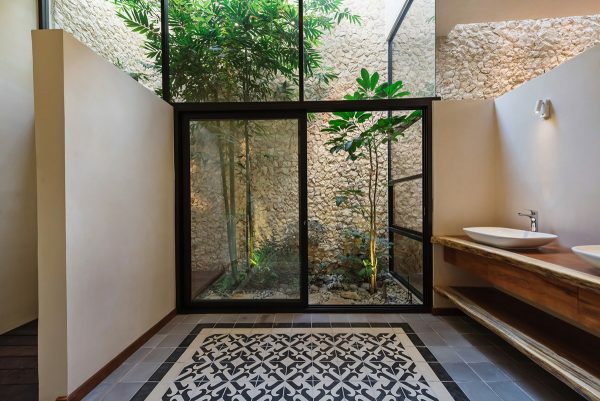 A green area off the bathroom brings the outdoors indoors, offering a full view of simple yet vibrant greens. 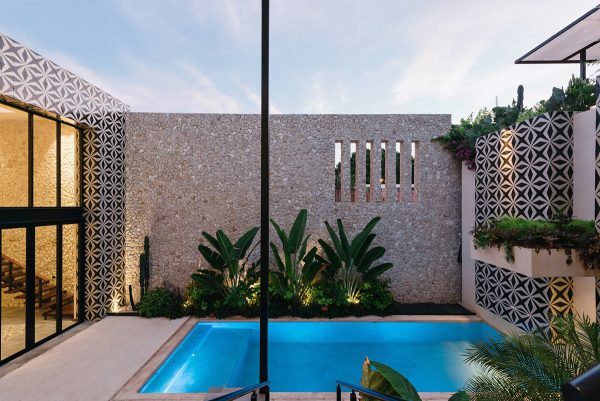 Illumination in the terrace and central garden is provided by a series of outdoor lights, positioned near the sun shades, the grand interior windows, and submerged pool lights. 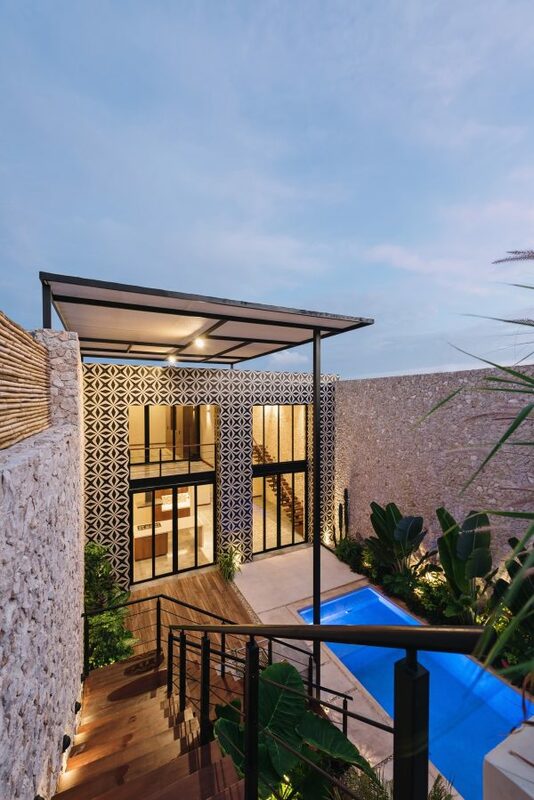 Overall, the house fits in with the same look and feel as the houses in its immediate area, yet behind its entry, that stunning courtyard and tile work shines. 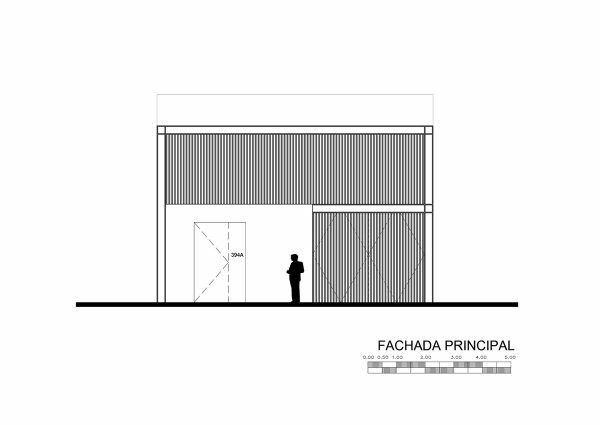 Here’s a floorplan view of the low profile front of the building, which matches the facade of other similar buildings in the area. 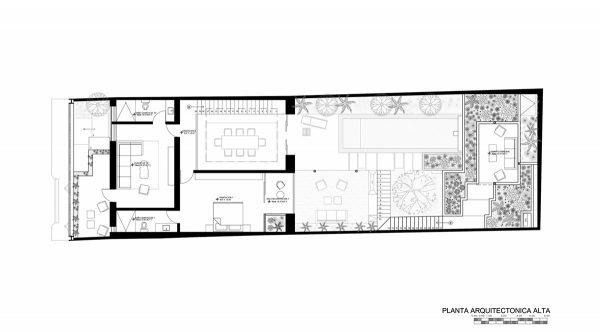 The view of the floor plan from above shows a functional layout. Social areas like the kitchen and ding room have a connection through the terrace area. The main room offers a view of the front of the home but still feels very private. The kitchen and dining room looks out into the terrace and pool area, making it ideal for entertaining. 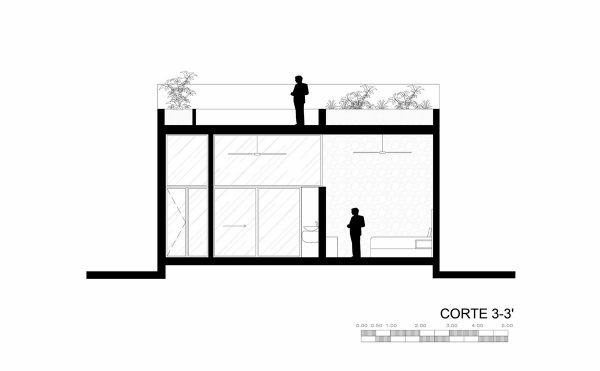 The rooftop garden offers a retreat from the living areas below. 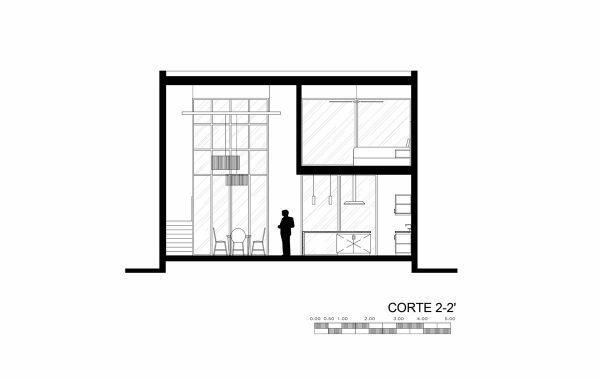 Even the staircase, presented in a side view in this plan, keeps with the clean lines found throughout the rest of the space. 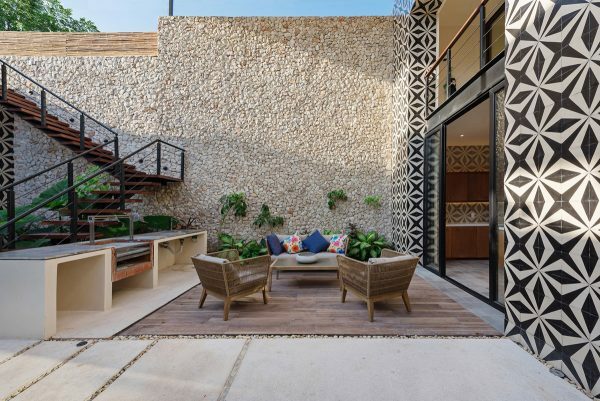 With three distinct levels for privacy, relaxation, and entertaining, this space is an incredible example of big, bold design choices in a small package.